The past has a tendency to trap us and our imaginations. If we are not reminiscing or ruminating over our personal history, we are often pondering the history of others. We do this primarily because we understand that the past informs the present and the future. Without the past, without history, we are without context. Without context, we are “irrelevant”, a lesson learned in SOMETHING UPSTAIRS by Avi, published in 1988 by SCHOLASTIC INC. In the book, a boy named Kenny discovers that his new home in Rhode Island is haunted by the ghost of a murdered slave named Caleb. Caleb, like all slaves and ghosts, is chained to the present by the events of the past, his only hope of escaping is if someone like Kenny puts their own freedom on the line and changes history. Avi is arguably one of the most celebrated children’s authors of the 20th and 21st centuries, and for good reason. His writing is characterized by a startling frankness and equally startling awareness of its intended audience and SOMETHING UPSTAIRS is a great example of this acrobatic feat. While the themes of racism, death, hatred and uncertainty are large, the story is still digestible for young readers as well as older readers. In fact, I would argue that Avi doesn’t write books for children, but for people who once were children. 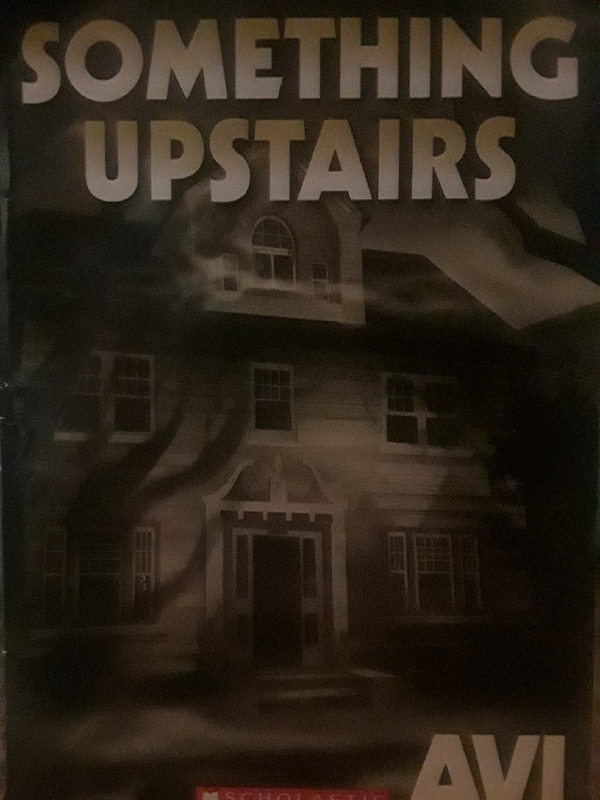 You can buy my edition of SOMETHING UPSTAIRS on AMAZON for $2.95, plus $1.99 shipping, used, in “Good” condition. Regardless of your age, something, or someone, relevant is upstairs, waiting to be remembered.